Snowboarding facts indicate there is evidence of people snowboarding as early as 1910. They would strap wooden boards to their feet and use either horse reins or fishing lines to help them maneuver down mountains or slopes. Talk about going old school! According to snowboarding facts about the history of snowboarding, Sherman Poppen is credited with starting modern snowboarding in 1965. As the story goes, Sherman Poppen was an engineer living in Muskegon, Michigan. He decided to put together two skis and added some rope for steering. His wife called it a snurfer, combining the words snow and surfer. Further research into snowboarding history teaches us that Poppen’s daughters enjoyed the toy and introduced it to their friends. After his idea proved to be popular, Poppen licensed the idea to a toy manufacturer. Sherman Poppen wasn’t the only one with snowboarding on his mind. One of the interesting snowboard facts tells us about a young man named Tom Sims, who crafted a snowboard in his wood class at school in 1963. Sims enjoyed skateboarding and wanted to combine it with one of his other favorite sports, skiing. Years later, in 1976, Sims won the World Skateboarding Championship. That same year, he founded Sims Snowboards to sell skating and snowboarding gear. Sims continued to compete, and was crowned World Snowboarding Champion in 1983. Another young enthusiast, Jake Burton Carpenter, started his own snowboard business in 1977 at the age of 14. This is one of the more inspiring snowboarding facts for kids! His boards featured a mechanism similar to those of waterboards that secured to the foot. The company Carpenter founded, Burton Snowboards, is still going strong today. 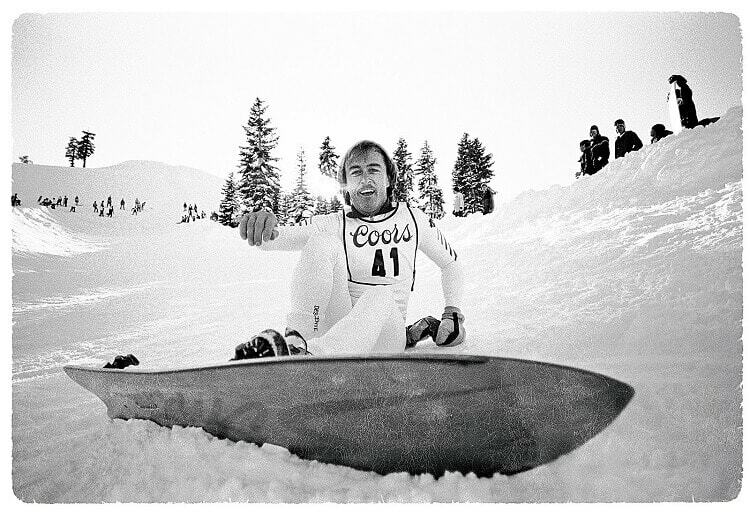 Sherman Poppen held snurfing competitions in the 1970s in Michigan. According to snowboarding facts, this helped popularize his toy and got people interested in the sport. During this time, athletes began to craft their own boards, therefore helping the sport evolve. Snowboard facts tell us that in 1979, Jake Burton Carpenter was the first athlete to compete on his own snowboard design, and not a snurfer. There was a debate as to whether Carpenter should be able to compete in the snurfer competition since his board was different. A new category, the open division, was created and Jake Burton Carpenter showed off his new snowboard design as the only participant. While the 1970s featured some snurfing competitions, snowboard facts tell us that the 1980s introduced an avalanche of snowboarding competitions. Paul Graves, who previously advocated for Jake Burton Carpenter to be allowed to use his own board at snurfing competitions, organized the first National Snowboarding Championship in 1982. Snowboarding facts tell us this competition is now known as the Burton US Open of Snowboarding and is the longest-running snowboard competition. The year 1983 brought the World Championship Halfpipe Competition, which was organized by Tom Sims and held in California. In 1985, the first World Cup of Snowboarding was held in Zurs, Austria. According to snowboarding facts, there are different types of snowboards. Some of this is due to the grassroots history of the sport. 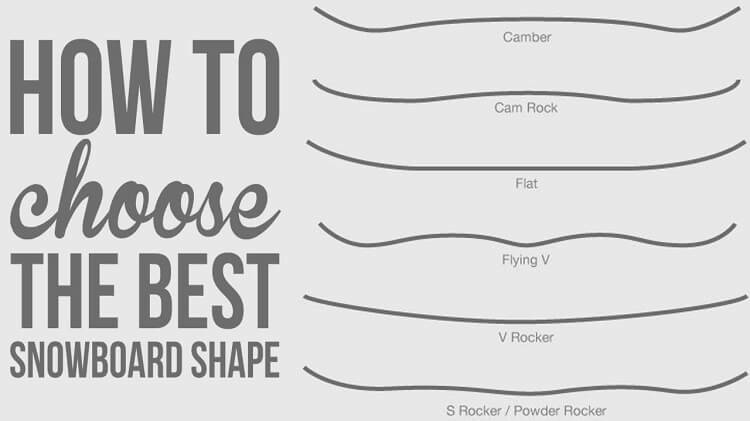 Let’s look at how to choose the right snowboard. To select the right board, you first need to think about what kind of snowboarding you want to do. For instance, freestyle snowboarding is quite different than backcountry snowboarding. Another thing to consider when selecting a snowboard is the snow condition. The size of the snowboarder also has an impact on choosing the right board. Just as there are different sizes of skis, there are shorter snowboards for children. In total, there are 10 important factors that combine to make the ultimate snowboard. These are: the length of the board, the width of the board, the construction materials used in the board, the sidecut of the board, the flex of board, the tail and nose widths, the curvature or camber of the board, the boots on the board, the bindings on the board, and, of course, the design on the board. There are many different styles of snowboarding. Because of how quickly this sport has evolved over the last 40 years, we may even see more styles popularized in our lifetime. Popular styles include freestyle snowboarding, boardercross racing, and half-pipe. Snowboarding facts tell us that snowboarding styles differ by terrain and the types of actions performed with the board. For example, freestyle snowboarding includes doing tricks on a snowboard, whereas boardercross focuses on racing through an obstacle course. Big air competitions feature snowboarders doing tricks after speeding down a jump. Other styles include jibbing, alpine snowboarding, backcountry snowboarding, slopestyle, cruising, rail jam, and freeriding. Like the related sports of skateboarding and surfing, which also have different styles, snowboarding gives the snowboarder a chance to express their personality with their choice of board and style of snowboarding. Most snowboarders pursue a few different styles, focusing either on the slopes or the tricks. 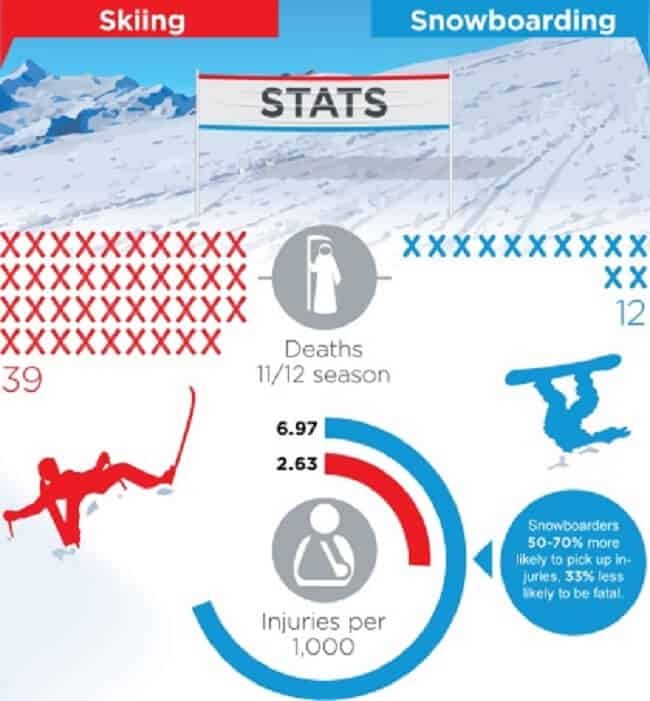 There is a higher chance of injury with snowboarding than with skiing. 25% of snowboarding injuries happen to first-time snowboarders. Because of the higher rate of injury, it is often suggested that new snowboarders should be trained rather than attempting the sport on their own. There are two associations that govern snowboarding in the United States. Snowboarding facts tell us that the United States of America Snowboard and Freeski Association, or USASA, is the group charged with creating national snowboarding events and educating current and potential athletes. Worldwide, the International Ski Federation, or FIS, sets competition rules and oversees the sport at the Olympics. The 1998 Winter Olympics in Nagano, Japan, were the first games to include snowboarding. This was also the first Winter Olympics with women’s hockey and curling included. There were four snowboarding events; two for men and two for women. These events were the Men’s Parallel Giant Slalom, Men’s Half-pipe, Women’s Parallel Giant Slalom, and the Women’s Half-pipe. Surprisingly, the United States, where snowboarding was invented, only won two bronze medals at the competition. Snowboarding facts tell us that Ross Powers took home the bronze in the Men’s Half-pipe and Shannon Dunn-Downing won the bronze in the Women’s Half-pipe competition. The 1998 and 2002 Winter Olympics featured four snowboarding events. The Men’s Parallel Giant Slalom, Men’s Half-pipe, Women’s Parallel Giant Slalom, and the Women’s Half-pipe were the only snowboarding events during those winter games. The 2006 and 2010 Winter Olympics featured the addition of two more events: the Men’s Snowboard Cross and the Women’s Snowboard Cross. The popularity of snowboarding has lead to increased events at the Olympics. The most recent Winter Olympics in 2014 included 10 events. Men’s Snowboard Slopestyle, Men’s Parallel Slalom, Women’s Snowboard Slopestyle, and Women’s Parallel Slalom are the most recently added events. According to snowboarding facts, as well as the Winter Olympics, there are several competitions that show off snowboarding talent. These include the FIS International Ski Federation World Championships, the Winter X Games, the Burton Global Open Series, Shakedown, X-Trail Jam, and the US Open of Snowboarding among others. Snowboarding has been featured in the Winter Olympics since 1998. Despite only taking home bronze in the first Olympics to feature snowboarding, between 1998 and 2014, the United States has won the most Olympic medals. The United States currently holds 24 Olympic Snowboarding Medals. Of those 24, 10 are gold medals. 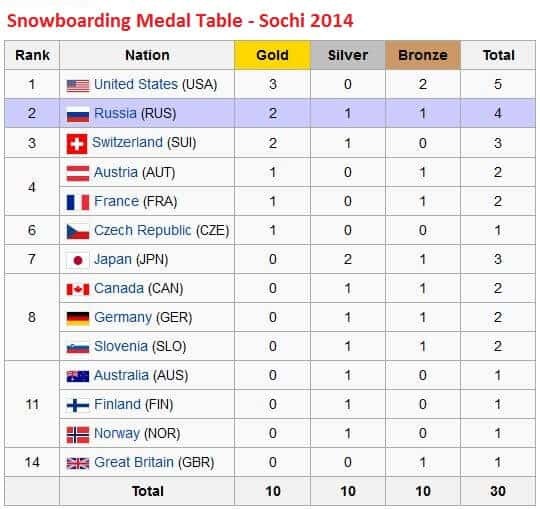 According to snowboarding facts, this means that the United States holds the most Olympic Snowboarding gold medals. Switzerland is in second place with 7 gold medals, and Canada is in third with 3 gold medals. 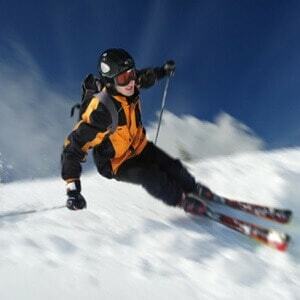 There is a difference between a monoski and a snowboard. On a monoski, your feet face forward in the direction in which you’re traveling. On a snowboard, much like on a surfboard, your feet point mostly perpendicular to the direction of travel. As a result, a snowboard is ridden with a different stance than a monoski. As a new sport, snowboarding faced some challenges. Many ski resorts initially banned snowboarding or made it more difficult for snowboarders to gain access to the slopes. Part of this was due to misinformation about the sport, and how many people were interested in it. Some people even thought that a snowboarder could damage the snow on a slope. One of the shocking snowboarding facts is that it wasn’t until the 1990s when most ski areas finally allowed snowboarding. Seems like the skiers were giving the snowboarders the cold shoulder. In A View to a Kill, the 1985 James Bond movie starring Roger Moore, 007 was featured snowboarding down the slopes. Tom Sims, the 1983 World Snowboarding Champion, was his primary stunt double for that part of the film. This on-screen time for the sport brought real world results. 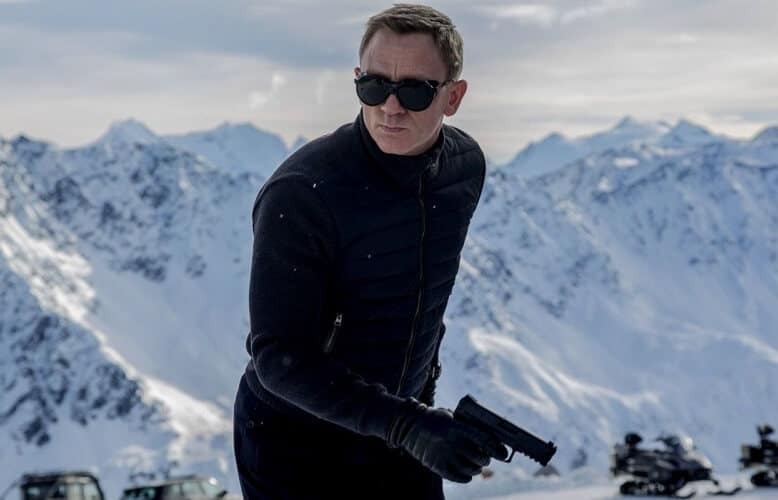 James Bond’s downhill shenanigans helped popularize the sport and brought new snowboarders to the slopes. We wonder whether Q consulted with Sims or Jake Burton Carpenter to design 007’s snowboard. Snowboarding facts show that promotional videos have been helpful in spreading innovation in gear and tricks in the snowboarding world, ever since such videos were distributed on VHS tapes. Nowadays, everything is done digitally and you can see some awesome promo videos on the different manufacturer’s websites. Around August of each year, sponsors like Burton Snowboards team up with athletes to create promotional videos showing off their latest gear and new tricks they have been working on. These promo videos serve as a way to sell the new gear and also to inspire other athletes to attempt new stunts. These videos were crucial in building the grassroots support for snowboarding when it was not as popular and people were not as likely to know another snowboarder in their town. Snowboarding companies were using the power of viral videos long before sites like YouTube existed! The 2013 documentary The Crash Reel, by Lucy Walker, highlights the dangers of snowboarding. Snowboarding facts tell us that this documentary features Kevin Pearce, a snowboarder who suffered a traumatic brain injury in 2009 while attempting a trick on a half-pipe. The documentary follows his recovery, and was the first movie ever to be shown at an X-Games. The first Olympic gold medal in snowboarding was won by Ross Rebagliati of Canada. After he won, he was temporarily disqualified when a blood test showed he had marijuana in his system. Surprisingly, snowboarding facts show that the decision was overturned and he was given back the gold medal. At the time, marijuana was not on the list of banned substances. An advocate for medical marijuana use, Ross now runs a medical marijuana dispensary. Snowboarding facts teach us about the fun history of this young sport. From snurfing competitions to the Olympics, snowboarding history facts take us on a fast ride with this sport that has captured the hearts of winter athletes. Different styles and boards have allowed snowboarders to show off on slopes and half-pipes since 1965. Snowboarding shows no signs of slowing down, as people continue to flock to the sport and watch the many competitions held at national and international level.